BELGRADE, SERBIA. 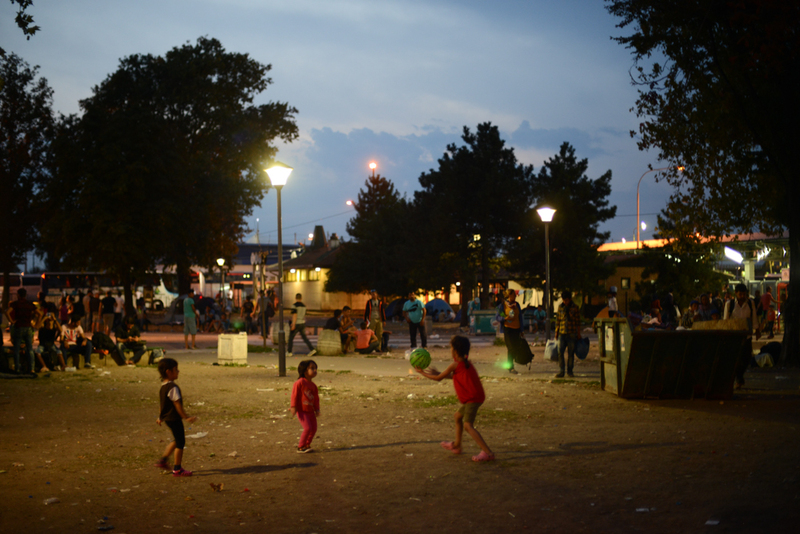 Children play in the middle of the encampment set up by refugees and migrants in the park by the rail and bus stations on September 4, 2015. Thousands of refugees mainly from Syria but also Iraq, Iran and Afghanistan have made the journey from Turkey to Greece and through Macedonia before arriving in Serbia on their way to Europe in search of a better life, mainly in Germany.